If you’re looking for the best heat lamp for a ball python, then you might be new to keeping ball pythons, or you just might want to know the best way to keep your ball pythons terrarium at the proper temperature. 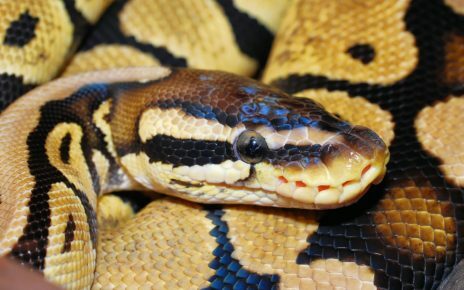 In the following article, we’ll go over the best heat lamps for ball pythons, and we’ll also suggest some heat sources that are better suited to meet the needs of a ball python. Ball pythons are cold-blooded animals, which means they require an external heat source to maintain their body temperature. 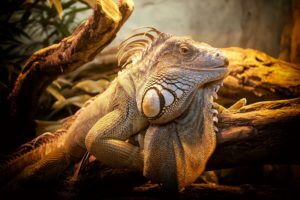 They need a heat source to properly digest their food, and they also use the heat they absorb to regulate their metabolism and activity levels. 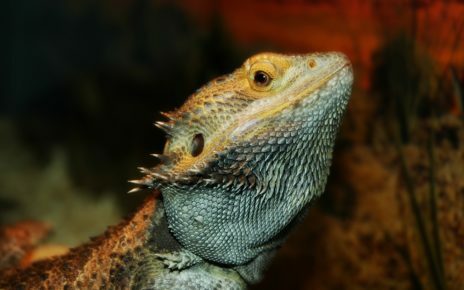 When most people think of a heat source for a reptile the first thing that comes to mind is a heat lamp. Heat lamps are usually a good source of heat for most reptiles, but they might not be the best option for a ball python. Ball pythons actually prefer to absorb heat through their belly, and they tend to stay hidden all day in their native habitat in North Africa. It would be very rare to see one basking on a rock out in the open since that would expose them to predators. Instead, they get most of the warmth they need from the ground or any other heat source that lets them stay out of sight and remain well protected. 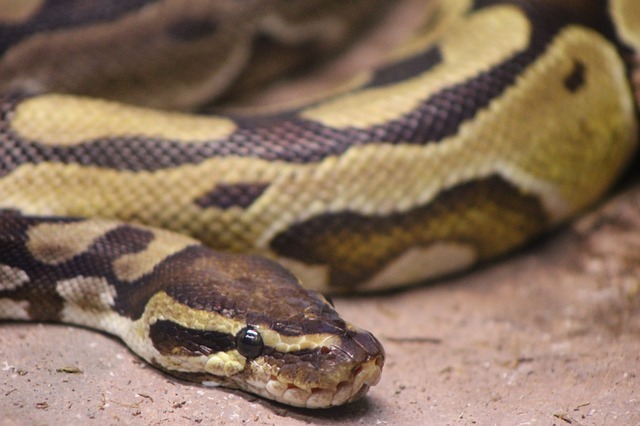 In order to provide a ball python with a more natural source of heat, you might want to consider getting an Under Tank Heater (Buy Online), or any other type of heat source that delivers heat to their belly. You can still use a heat lamp to provide supplemental heating, and some ball pythons will still appreciate having an overhead heat source in their terrarium. In most cases, it’s actually a good idea to provide multiple heat sources for your ball python. 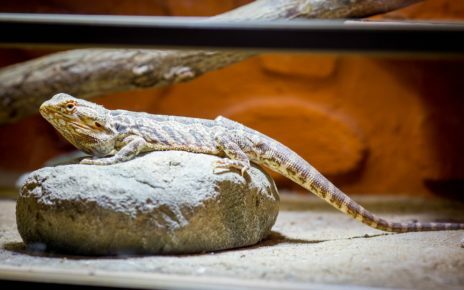 The under tank heater will keep them warm when they are close to the ground, and a heat lamp can provide much-needed heat when they are climbing around in their terrarium. 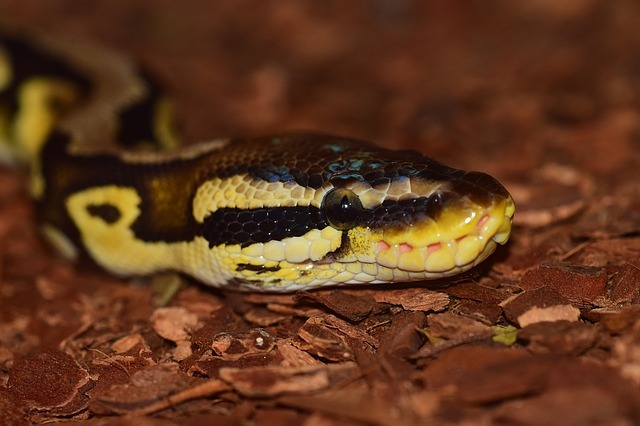 Just be sure that you provide your ball python with a good balance of hot and cold zones throughout their enclosure, so they can always find a place in their terrarium that allows them to properly regulate their body temperature. The Zoo Med Nightlight Red Bulb for Reptiles (Buy Online) is a true-red incandescent heat lamp that will provide ample heat for any size ball python. This heat lamp is available in a wide range of power outputs, so you can easily find one that matches the proper ball python heat lamp wattage you’ll need for your terrarium. The best thing about this heat lamp is that it won’t disrupt your ball pythons natural sleep cycle. This heat lamp only emits visible light in the red part of the spectrum, so you can leave it on 24 hours a day to provide heat for your reptile. Red light won’t keep your ball python awake since their pineal gland, which regulates their sleep-wake cycle, is only stimulated by light in the blue part of the spectrum. This light will also have minimal impact on human night vision as well, so you can keep it on all night to provide heat, or you can turn it on at night if you just want to check in on your ball python, This bulb also emits a pure red light unlike painted bulbs, which means it will transfer heat more efficiently, and it won’t leak white light if it’s scratched or damaged. The Evergreen Pet Supplies 2-Pack of 75 Watt Infrared Heat Lamps (Buy Online) are a great option if you have a large ball python enclosure. These heat lamps are suitable for medium to large ball python terrariums, and you can use both of the bulbs in a dual heat lamp fixture (Buy Online) if you want to cover a larger area. These heat lamps have an expected lifespan of 800 to 1000 hours, which means if you run them 24 hours a day you can expect them to last for a month in most cases. If you only run them for a short period each day you probably will only need to replace them every 90 days. These heat lamps are also more affordable than some of the better-known brand name options. That means you can stock up on these bulbs so you will always have a few spares on hand when you need to replace them. 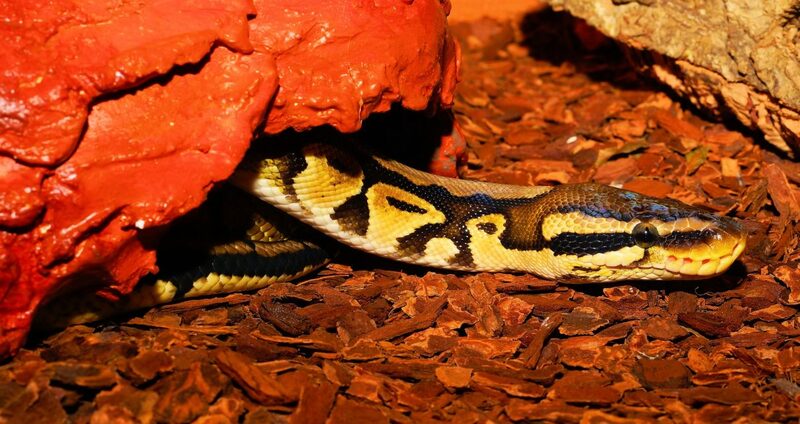 The Zoo Med Large Repti-Therm UTH Under Tank Heater (Buy Online) is one of the best heat sources for a ball python. This under tank heater comes in a wide range of sizes that will fit under almost any ball python terrarium. 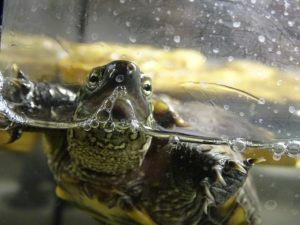 The Zoo Med Large Repti-Therm Under Tank Heater will increase the temperature in most enclosures by 5 to 10 degrees depending on the ambient temperature. This will provide more than enough heat for your snake if the room you keep them in stays above 60 to 65 degrees Fahrenheit. This under tank heater uses a solid state nichrome heating element that will emit a nice even heat without producing any hot spots. You can also permanently bond this heater to the base of a glass terrarium to increase the overall efficiency of the heat transfer. If you want to provide your ball python with a heat source that closely mimics the way ball pythons thermoregulate in nature then the Zoo Med Large Repti-Therm Under Tank Heater is your best option. It is also one of the more affordable under tank heaters on the market, and it comes highly recommended by most customers. Zilla Reptile Terrarium Heat Mats (Buy Online) are an ideal heat source for a ball python. This heat mat comes in mini, small, medium, and large sizes. The mini heat mat measures 4” x 7”, and the small heat mat measures 6” x 8”. While the medium and large heat mats measure 8” x 12” and 8” x 18” respectively. The 4-Watt mini model is suitable for 1 to 5-gallon terrariums, while the 8-Watt small version will easily heat a 10 to 20-gallon terrarium. 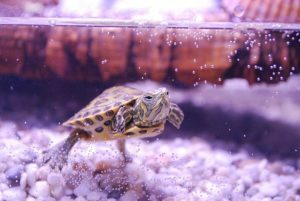 The 16-Watt medium heat mat is capable of heating a 30 to 40-gallon terrarium, and the large 24-Watt is rated to heat 50 to 60-gallon terrariums. This under tank heater can be permanently mounted to the underside of a terrarium. This will allow the under tank heater to transfer all of its heat efficiently into the enclosure. Just be careful when you attach it to your terrarium since you won’t be able to remove it without damaging the heating element. The Zilla Reptile Terrarium Heat Mat is an excellent under tank heater if you have a large ball python terrarium. This heater comes in more sizes than the Zoo Med Under Tank Heater, so you’re more likely to find one that fits your enclosure. They are a little more expensive though, but the tent to be a little more durable, and they come with a 1-year full replacement warranty. The Exo Terra Heatwave Rock (Buy Online) will not only act as a heat source it also will make a nice decoration in your ball pythons terrarium. This heated rock has an electronically controlled heating element and an LED on/off indicator. You can also get in a small, medium and large version depending on the size of your terrarium. The small 5-Watt rock measures 6” x 4” and it is the perfect size for small snakes or if you only have minimal room inside your terrarium. The medium 10-Watt rock measures 6” x 6”, and the large 15-Watt rock is 12” x 7”. Both of these rocks would look great in a large well-decorated ball python terrarium. The Heat Wave rock creates a nice even gentle heat across the whole surface. The built-in temperature controller shuts off the heating element once the rock reaches a certain preset temperature. This helps prevent the rock from overheating, and it limits the formation of hot-spots. The Zoo Med Heat Wave Rock Heater will also help improve your snake’s digestion since it can efficiently transfer warmth right into your ball pythons belly. It also might feel more natural for your snake to coil around it, and use it as a place to hide just like they would in the wild. A heated rock can provide some much-needed heat at the base of your terrarium if you can’t use an under tank heater. While it might not provide the same even heat that a UTH does it will keep your python warm and comfortable when the temperature starts falling. A rock heater should only act as a supplemental heat source, and in most cases, an under tank heater is a better option. Rock heaters will only transfer a significant amount of heat when your snake is in direct contact with it. That means it shouldn’t be used as your only heat source, but you can use it with a heat lamp and an under tank heater if you want to add another heat source to your ball pythons enclosure. 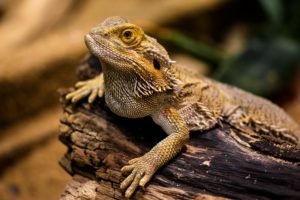 The Zoo Med Repticare Rock Heater (Buy Online) is a nice decorative heater that works well for a wide range of reptiles. This heat rock will reach a maximum temperature of 90 to 110 degrees Fahrenheit if it is left to run at full power for two to three hours. This heated rock also has a surface that has been specially designed to avoid “hot spots”, so you can be sure your ball python is safe since it has a nice even temperature across the entire surface. The Zoo Med Repticare Rock Heater also has a built-in rheostat that will let you adjust the temperature of the rock manually. 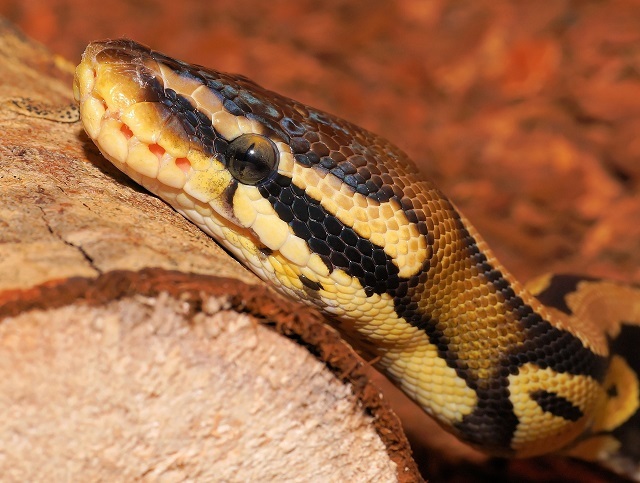 This will make it easier to find a temperature your ball python feels comfortable with, and it will let you run the rock on a lower power setting since ball pythons actually prefer slightly cooler temperatures. This heated rock will provide another source of heat to help keep your ball python healthy and active. They will love crawling on this rock after a big meal, and they might even coil up around it when they want to stay warm and hidden. The Zoo Med Repticare Rock Heater is a great supplemental heat source that you can add to your ball pythons terrarium. It also offers a little more control than the Exo Terra Heat Wave Rock since it has a built-in rheostat. 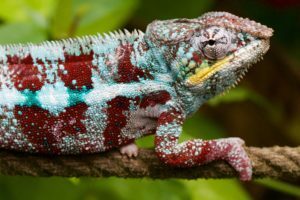 The only downside is the color which might not blend in well in a tropically themed terrarium. If that doesn’t bother you though then the Zoo Med Repticare Rock Heater is another great heat source for your ball python. A ball python will need a basking area that maintains a temperature of 88 to 96 degrees Fahrenheit (31.1 to 35.6 Celsius). While the ambient temperature of their enclosure should be kept at 78 to 80 degrees Fahrenheit (25.6 to 26.7 Celsius).